This Presentation date is January 20, 2017 at 10:30 - 12:30 local time. 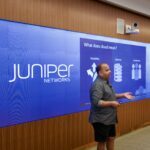 Gurudatt Shenoy, Director of Product Management at Juniper Networks, reviews the Juniper vision of the “self-driving network”. This allows service providers and enterprises to provision multiple simultaneous services instantly for a simply customer experience. 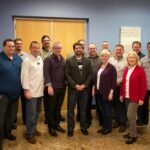 Gurudatt further reviews what Juniper Networks identified to make this happen, and how they are meeting each milestone. Nilesh Simaria, Senior Software Engineer at Juniper Networks, reviews the company’s data modeling practices. This includes a review of their Data Definition Language (DDL), a precursor to YANG. He demonstrates the ability to support multiple YANG models, including OpenConfig and BYOY options as defined by end users. Gurudatt Shenoy, Director of Product Management at Juniper Networks, reviews the Juniper Extension Toolkit (JET) APIs. This is a framework that provides developers with access to a set of high-speed APIs to change and retrieve state information for control and management plane services. He closes out the presentation with a demonstration of JET in action.